Hello. I am an artist and a poet born in Texas and residing in Italy. I’m more interested in what is similar between groups of people than what separates them. I love to read. I don’t own a television. I am interested in history and the capillary effects of events and communication. I am a writer and translator by profession but my passion is poetry. 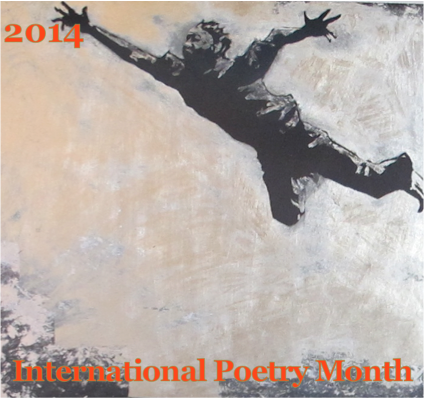 Since 2009 I have curated and edited International Poetry Month, an event born out of my desire to offer a welcoming context for poets who are little known or who, though published in their native language, have had little exposure outside of their own country because their work has yet to be translated. IPM offers poets and readers the opportunity to reach around the globe and find beauty and inspiration from a worldwide community of readers and writers. When I’m not writing or translating, I work alongside my husband, contemporary artist and furniture designer Matthew Broussard, both as a partner in building bespoke furniture and as a studio assistant for his artistic projects. I sand, gild, apply fine finishes and, the best part: spend lots of time talking about painting compositions, production methods and how to get from concept to completed project. You’re welcome to take a look at our latest projects HERE. 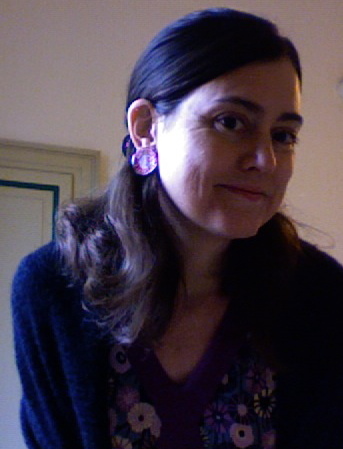 I also share stories about our projects and our life here in Northern Italy at my personal blog, La Casa degli Americani. If you’re interested in exploring my poetry and/or artwork, click HERE. If you’re interested in hearing audio recordings of poems from previous years, click on the links below. Got it! How fun. Write some more. Steve is here so he read it too. We were watching the new Bobbie videos before we go to his treatment! I love reading your blogs and poetry. I would love to see a video of you reading your works and I look forward to reading more! Hi Bonnie. It was nice to see you at the Cafe. You have some wonderful writing on display here. Looking forward to working my way through the archives. Cheers. Hi Bonnie – Thanks very much or following my blog! I am now following you and look forward to exploring your writings. Great idea to curate IPM! Thanks Shery, I’ve enjoyed reading your work! I’ve been working with IPM since 2009 and it’s always an adventure. I hope you’ll consider submitting some work for next year, I’m always looking for new poets to make IPM even more fun for my readers. Hi Bonnie – Glad that you enjoyed reading my posts! Robert Okaji’s poem led me to your blog. I haven’t been writing for very long, and so of course would like to expand my horizons. All the best wit IPM this year!